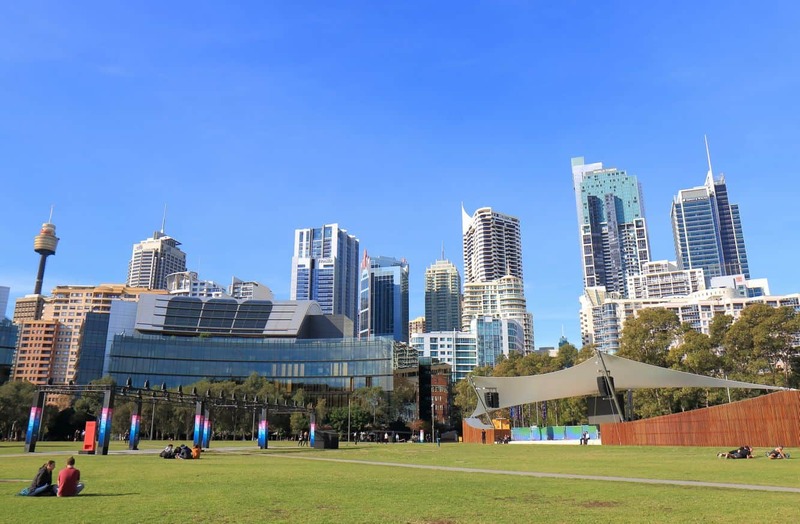 Tumbalong Park is a beautiful recreational park right in the heart of Darling Harbour. This idyllic parkland provides visitors with a chance to enjoy the best native flora that was creatively incorporated to blend with the stunning fountains. 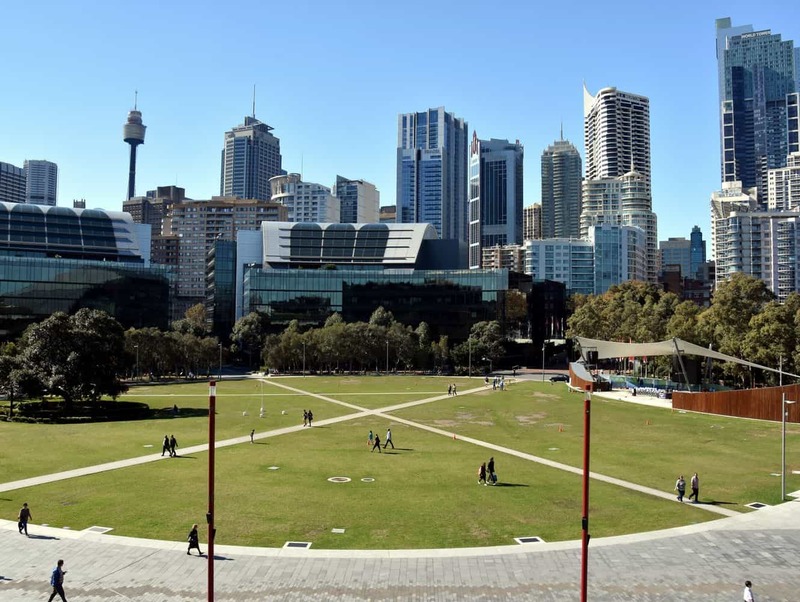 It is interesting to learn that the park’s name was inspired by the Eora nation, with the name translating to ‘a location where seafood is found’. 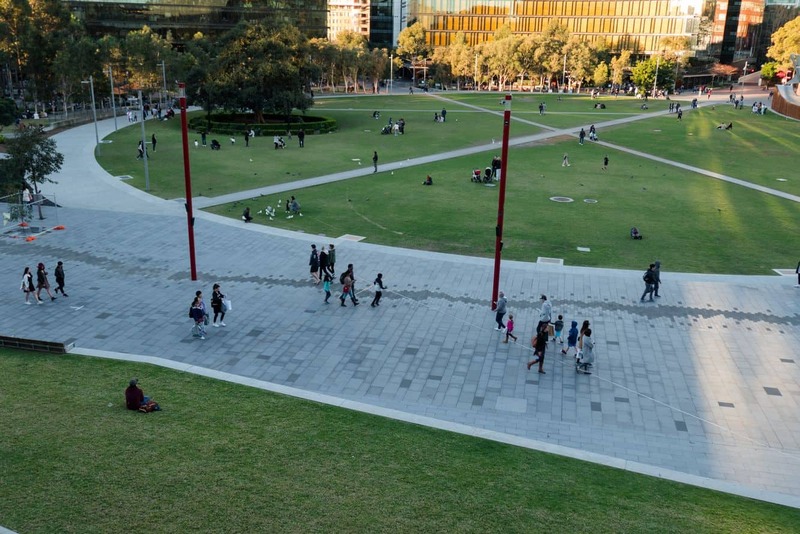 The 5-hectare park is a poplar venue for some of Australia’s most popular events. 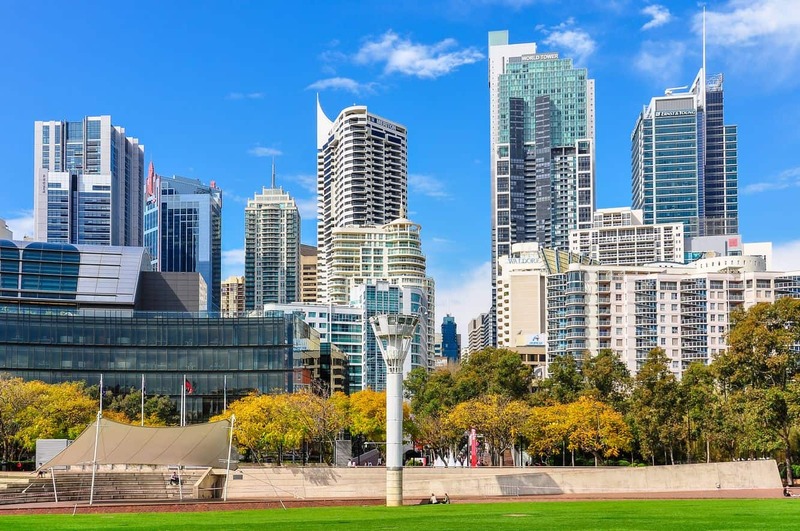 These include New Year’s Eve, when thousands of people gather to watch the spectacular fireworks display, as well as the Australia Day celebrations. The site has also been used as the setting for a number of films; making it an iconic destination as well. 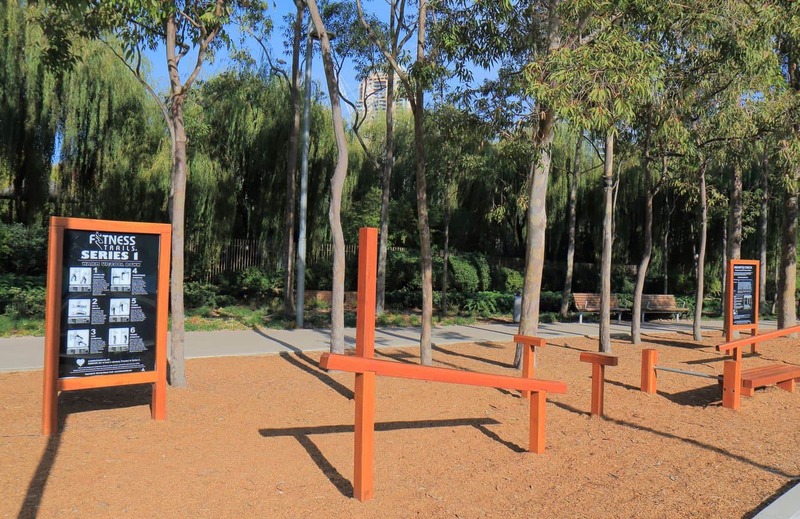 Its wide array of amenities also makes this park a family-friendly option for those with kids. There is an expansive water park play area for the kids to explore, containing 26 magnificent water jets complimented by a giant slide and big swings to enjoy. The big kids will especially enjoy the tangled web, as well as the octanet jungle gym that’s ten metres high – perfect for pushing the limits. 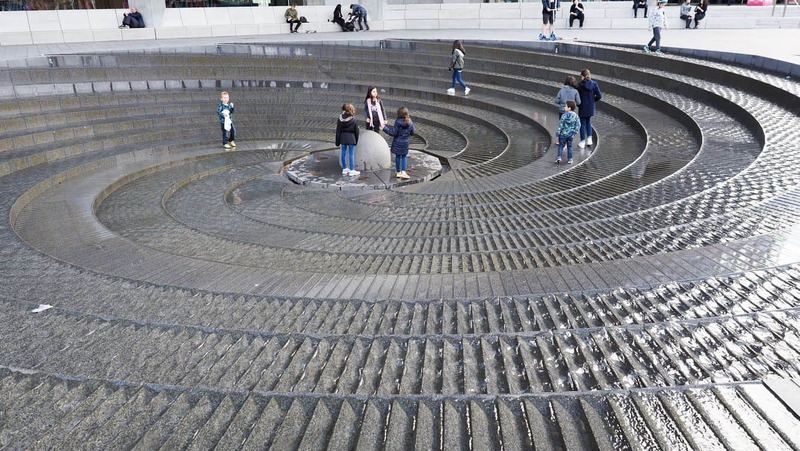 For anyone looking for a kid-friendly location that will keep children engaged will enjoy spending time at this park. The park’s proximity to the Chinese Garden of Friendship means that nature lovers have the opportunity to stroll the quiet gardens while marvelling at the different flowers in the garden. A here is a perfect chance to marvel at the Chinese-inspired landscape that was designed with the local Chinese community in mind. The gardens are accessible by paying a small fee at the gate. Some of the amenities available at the park include public washrooms, cafes and restaurants. The park is also close to the Town Hall Railway Station, with main bus routes going through the area. 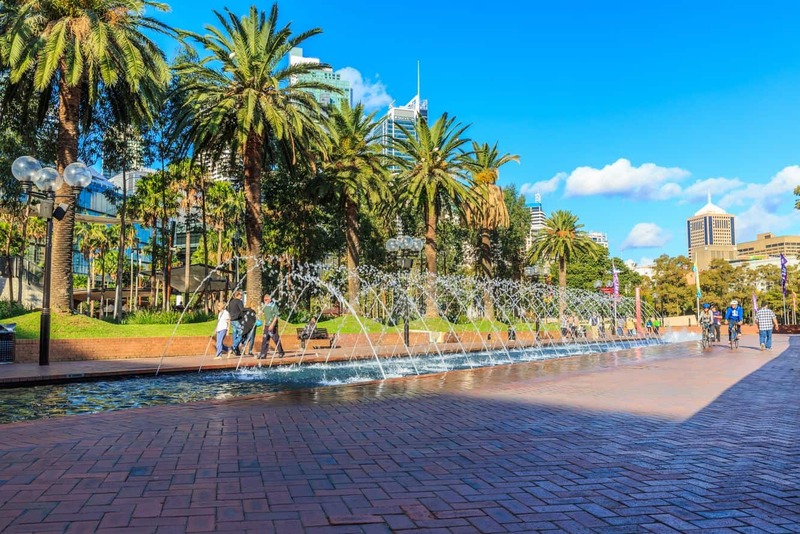 A visit to Darling Harbour is incomplete without checking out Tumbalong Park for a memorable day out!